Our range of Automobile Gaskets is fabricated using high-quality raw material, which is procured from the reliable vendors of the market. Designed with precision, these are extensively demanded in Automobile Industry, and are available at competitive rates. 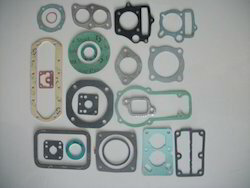 Furthermore, these types of gaskets are highly appreciated by our clients, and can be customized as per their individual requirements. 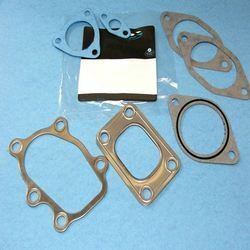 We offer automotive gasket sets for two wheelers which include exhaust gaskets, base gaskets, head gaskets, valve guide seals and tensioner gaskets.